Dallas: Food and Dining | Explore Dallas - Explore and Visit Dallas, go for official information on travel, accommodations, hotels, history, food, culture and the best shopping, clubs and cultural events. Travel Guide to Dallas. The city of Dallas, Texas is an amazing place to be in especially if you are a person who loves to eat and has a passion for great food and flavors. A superb dining experience is pretty easy to achieve in this Texan city as it offers a wide selection of international cuisines ranging from native American cuisine to Italian, Asian, Latin, Spanish, Mediterranean and Mexican dishes. This plethora of great foods is served in the numerous cafes and restaurants that abound in the city. One such restaurant in Dallas city that serves mouth-watering dishes is the Abacas. The Abacas combines the best flavors of American and Mediterranean tastes, making it a most valued eating place in Dallas city. Another outstanding restaurant in this city is Charlie Palmer, which is notable for its French and American blend of art and food. Charlie Palmer is certainly an excellent choice for art-lovers and fastidious diners. 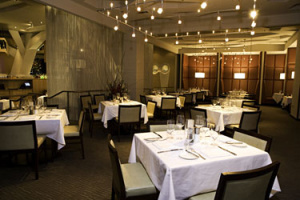 A great dining option in Dallas city is Perry’s Restaurant which serves tasty and fresh seafood, delectable steaks, premium wines and first-class cocktails. This four-star restaurant is a Dallas original that cannot be missed. Stephen Pyles is another example of a restaurant that fuses international dishes, particularly southwestern cuisine and Spanish dishes. This awesome restaurant is located at the center of the Arts district. 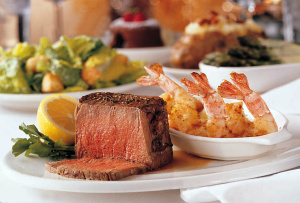 A noteworthy place to eat is Ruth’s Chris Steak House, which is ideal for romantic dinners, business deals, private parties, or any intimate gatherings. The restaurant staff is well-trained and each guest is treated in high regard, guaranteeing customer satisfaction. Special arrangements for the handicapped are also accommodated. The Aurora restaurant boasts not only of new American dishes but also of its venue’s arty industrial design featuring the restaurant’s kitchen at the back of an engraved glass. Dining at Aurora is definitely a fabulous experience. 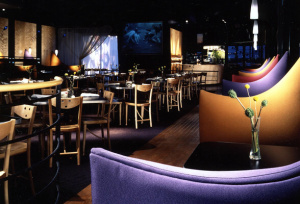 If you are craving for southeastern dishes, Mansion in Turtle Creek is the place to go featuring such excellent desserts such as the Crème Brule, Lobster Taco and Tortilla soup, all of which are the restaurant’s best-sellers frequently ordered by patrons, local or foreigners alike. Other restaurants which could serve as one’s secondary options when dining in Dallas city include “The Mercury,” the “Le Rendevous”, “36 Degrees, “La Duni,” the “York Street,” and the “Ferre Ristorante.” The list of finer restaurants include Fuse, Victory Tavern, Dakotas Steakhouse the French Room and other restaurants. Dining in Dallas city is definitely an awesome experience anyone can have in this bustling city of perks.